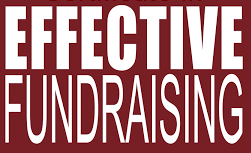 NoteWorthy Band Corp. - Fundraisers ⋆ NoteWorthy Band Corp. Benefit Concerts, Fundraising events, Not For Profit events. The NoteWorthy Band is frequently asked to perform for fundraising events and benefit concerts. 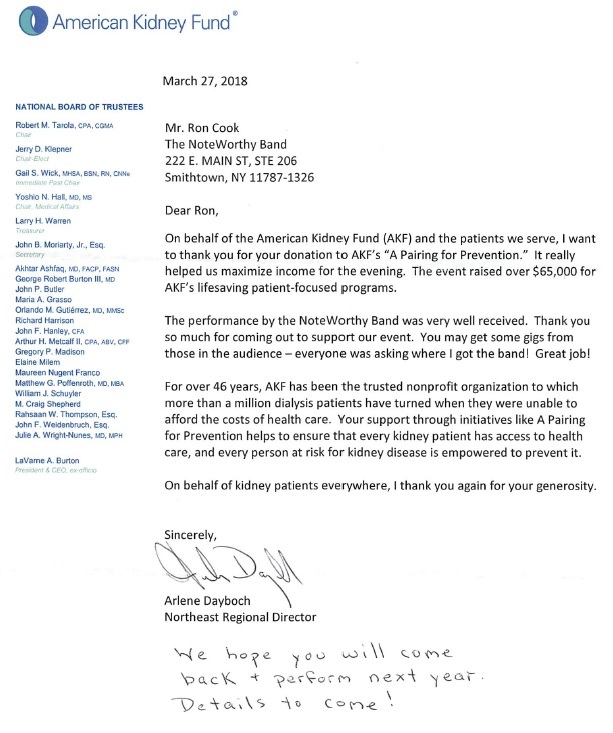 The band has assisted in raising large sums of money for many not-for-profit entities such as the March of Dimes and the American Kidney Fund. The band has performed at countless venues including the Crest Hollow, East Wind, Huntington Hilton, Radisson Hotel, Watermill Inn, etc. The band has been on Television including FIOS News. The band performs at the largest summer and fall festivals on Long Island. The band has established a very professional reputation, so you can’t go wrong when selecting the NoteWorthy band for your event. The band brings ALL the equipment so you don’t have to worry about providing any equipment. The band brings the lighting system which is always in sync with the music. You can utilize the band’s sound system for announcements. The band can assist with announcements as needed. The band can provide an emcee if needed. The band has A / V equipment (projector, screen, etc.) which can be utilized for your event. 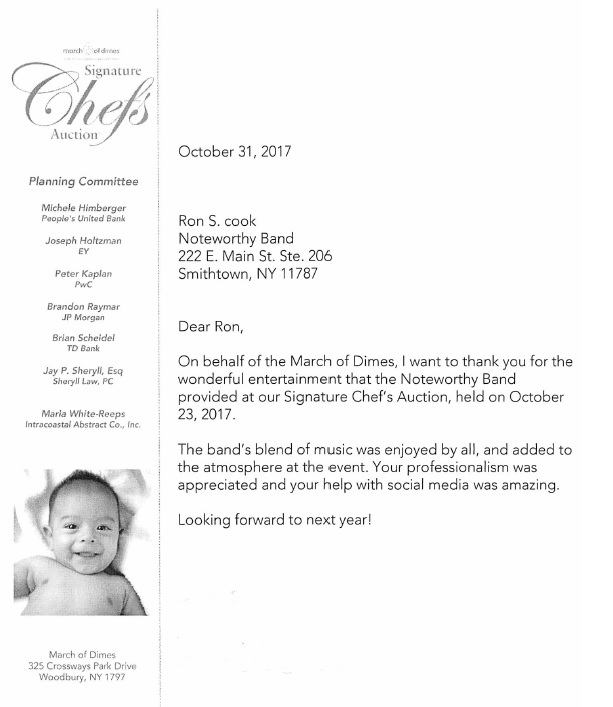 If desired, the band can promote the event on social media, Facebook, Longisland.com, email, and via other social media outlets. A live band brings more positive energy into the room than a DJ.